Allied Seed offers you the best people, products and services available in the seed industry. We recognize the need to provide quality seed products to our customers – every day, every load. We know seed, and we’re here to fill your forage and turfgrass needs. packaged and shipped to your specifications. Raw, inoculated, fungicide treated or coated to your specifications with our All-Vantage coatings. Custom packaging from small-pack to bulk bags, your bag or our bag, paper or poly. We also offer customized analysis tags for your operation. You can order single-item loads or combine different turf and forage products on the same load, with one phone call and no hassles. We provide our distributors with promotional materials necessary to effectively market our seed products. These include a convenient and comprehensive product guide and point-of-purchase materials such as brochures and product information sheets. Private Label and Branded Products are available in both our proprietary forage and turf lines for exclusive use in your sales area. Commodities are an important part of Allied Seed’s total forage and turf offerings. We have over 150 public and common varieties on inventory at all times for your ordering convenience. Our specially formulated proprietary polymer, Adhere-108®, is a superior binding agent that maximizes the effectiveness of seed treatments and coatings. Gives your seed every advantage possible! ALL-VANTAGE® is an advanced seed coating system for superior application of legume inoculants, fungicide treatments, seed coloring, and nutrient packages to promote better stand establishment. The ALL-VANTAGE® coating system begins with a specially formulated polymer, Adhere-108®, that acts as a superior binding agent to provide consistent, uniform coverage of the seed. The special binding properties of Adhere-108® reduce dust-off of the coated seed and is completely safe to handle and transport. Coatings are available in the industry standards of 8-10% and 34%. Custom coatings are also available. 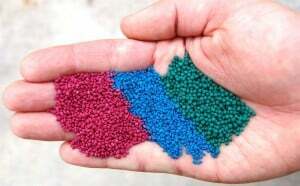 AquaBond™ is a revolutionary new seed enhancement that is both plant and environmentally friendly. AquaBond™ water absorbing polymer holds water that would normally be lost to percolation or evaporation from the soil and then releases the water back to the seed as needed, allowing the seed to germinate and grow during dry spells until additional moisture is received. NUTRI-START® is a specially designed micronutrient package that contains essential micronutrients to aid in germination, emergence and promote early root growth.